History’s Corner – July 2018 | F.F.A.M. 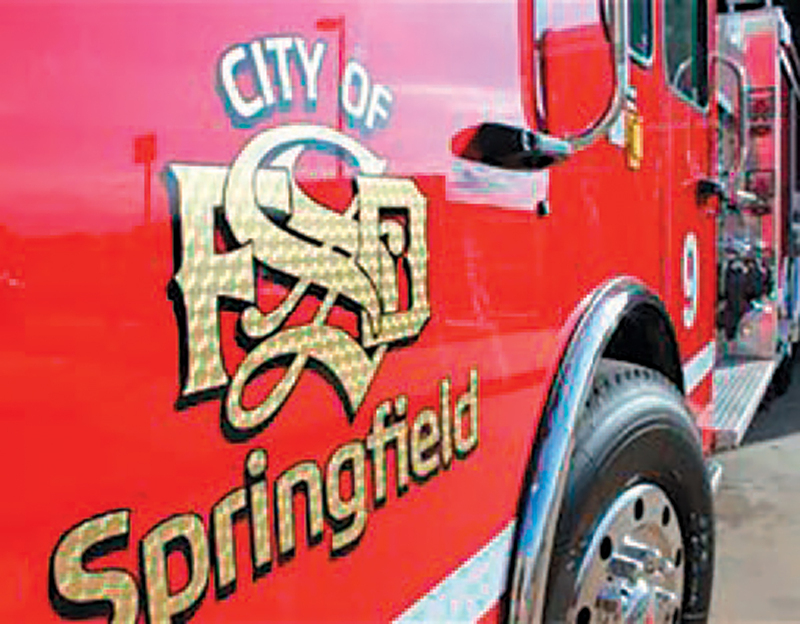 Springfield’s earliest days as a community included a volunteer fire department organized in the 1840’s, beginning a rich history of service, compassion and valor. On August 9, 1847, the City Council and the Fire Commission drew up an ordinance to form the first recorded Ladder Company to cover the City of Springfield. The company consisted of seventeen members, a hand full of painters’ ladders, and a two-wheeled cart that was pulled by two of the members. The seventeen members served as volunteers without pay, uniforms, or firefighting gear. Fires were fought in whatever clothes the men were wearing at the time. The men were highly respected by the community and in return, they took deep pride in the service they provided. As the City grew, more volunteers and better equipment were needed. The fire company added two wheeled hose carts to compliment the original ladder cart. By 1867, the hose and ladder carts became too heavy to be pulled by the men. This marked the beginning of the horse drawn wagons. It also marked the first of four major fires that occurred on the public square. The fire originated in the Northwest corner of the square in a two story building the Clark’s Store and the Union Press newspaper office. Since there was not a water system at that time, it quickly spread to the Union Hotel, the Watson, Staley & Company store, a saloon, a residence, two warehouses, and several other small buildings. The P. & W. Shoe Store was torn down to stop the fire from spreading further. On May 31, 1879, a volunteer fire department was established with George D. Emery elected as Chief. The volunteer fire department differed from the fire companies in that 8 of the men were “dedicated volunteers” which meant they lived at the firehouses to keep coal and wood on the fires. A North and a South fire company evolved with stiff competition between the two. The north station was located at the corner of Washington Avenue and Commercial Street. It was an old school house ironically named the “Hosehouse School”. The building was donated by George Everetts. The south station was located at 414 College Street on the “City Lot” where the farmers market was held and horses were tied. In 1880, the infamous Springfield Wagon Factory located at 313 West Mill Street caught fire. The general officers were totally destroyed by the blaze. 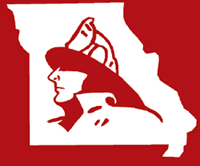 On February 1, 1897, the volunteer fire department was officially changed to a paid department. The men worked a continuous duty schedule. For meals, one man would leave at a time to walk home or ride the trolley. For those living farther away, their wife would bring a meal basket to them. Each man was allowed one day off a week, providing no one else called in sick. Starting pay was $75 per month for the chief and $60 per month for the firefighters. Uniforms also became a mandatory requirement but were the responsibility of the firefighter. William Canada was named as Fire Chief to the newly organized department. During the next 16 years, George Everetts, Jack Smades, Hiram McGloughlin, Dan Savage, and Doug “Sherm” Reed served as Fire Chief. 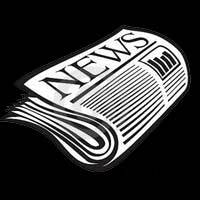 Additionally, there were several other persons appointed to serve as Fire Chief for a period of one or two days. 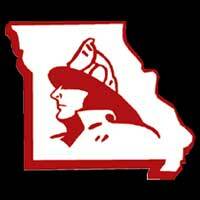 A report by the Insurance Survey Bureau compiled a report on the status of the fire department. It noted the department had 1 chief, 14 men and two extra men, 11 horses, 5,600 feet of good hose, two ladder trucks, two four-wheel hose carts and two extra hose carts. Each man has one day a week off, and 2 men are off for meals at a time in each house. There are an average of 16-18 alarms per month. Station #1 was heated with coal, and had a gas stove for heated bath water and gas lighting. The alarm switchboard wiring was poor and has caused fire. In 1906, Station #1 was rebuilt on its same location with a beautiful two bay station which now faced North onto College Street rather than West. A blaze tore through the beautiful Baldwin Theater located at 318 St. Louis Street. The building was a total loss. In 1912, two additional stations were added to protect the growing City. Station #3 was located at 460 South National Avenue and it’s sister station #4 was located at 1902 North National Avenue. The one bay stations cost $5,200 each and took 57 days to complete. On May 4, 1913, three 1913 American LaFrance motorized fire engines and an American LaFrance chemical truck were purchased. The chemical truck was state of the art with two 55-gallon drums of Soda/Acid mix to propel the water to great heights. The chemical truck was stationed at Fire Station #1 and responded to all calls in the City while the other three engines were distributed to the other stations. In May of 1913, W.R. Price was named Fire Chief and would serve the department in that capacity for the next 32 years, the longest of any Chief to date. The new equipment and Fire Chief quickly received their trial by fire. On June 9, only one month after their arrival, the Northeast corner of the square caught fire. Eleven businesses were totally destroyed. This fire is still known as “the big one”, but it could have been much worse had the new engines not been in service. The fire loss was the first fire in Springfield’s history to exceed $1,000,000 in damages. In December of 1919, the firefighters organized as the “City Firemen’s Union Local 152”. 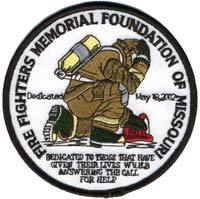 The union was affiliated with the International Association of Firefighters. In 1925, three new 1925 American LaFrance 750 gallon per minute pumpers with enough hosebed space for 900’ of 2 1/2” hose. By 1929, the Chief of the Department was paid a salary of $300 per month. Firefighters were still paid $60 per month. In 1939, another major fire occurred on the City square. The fire began in the Newberry’s Department Store. On May 1, 1944, Fire Station #5 was added to the growing list of stations. The last major fire on the square occurred on December 16, 1945. Eleven businesses were destroyed. Five firefighters were injured; two were hospitalized. In July, Marion S. Baker was named as Fire Chief to replace Chief Price who had served the department since the late 1800’s. 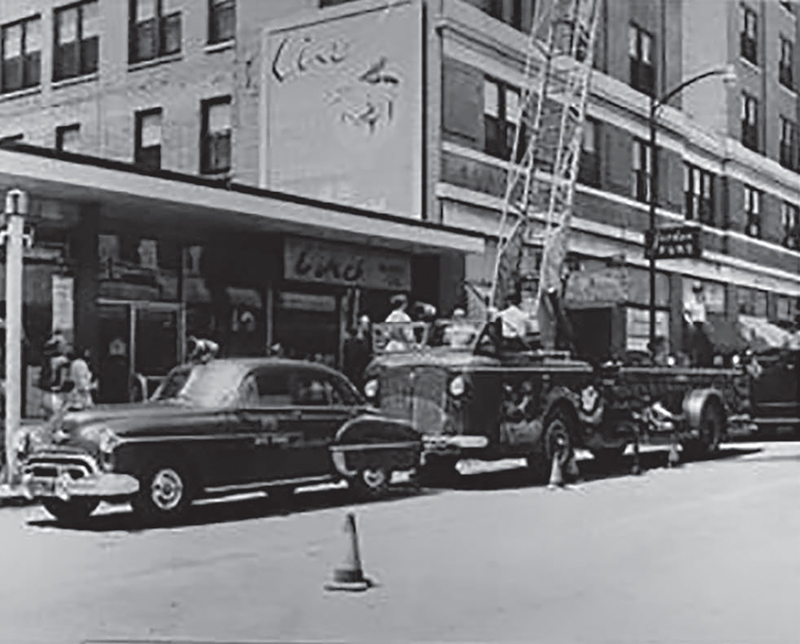 In 1949, another 100’ American LaFrance aerial ladder was purchased to help cover the growing City. The first 1,000 gpm pumper was also delivered. In December, Warren Hays was appointed Fire Chief to replace Chief Smyth. Chief Hays was the former Police Chief for the City of Springfield. In May of 1952, 12 year veteran Ray Fraker replaced Chief Hays to head the department. Later during the year, a new Fire Station #6 was added to the City. Located at 1201 South Campbell Avenue, Station #6 was a two-story, 2,520 square foot station. The station also included a six story drill tower ($30,000) and a pump test pit. This marked a huge turning point in the use of technology in the fire service with the installation of the first two-way, Motorola radios in apparatus. This allowed the apparatus to be in contact with the units while they were out of their quarters rather than only by telephone and alarm boxes. The department also purchased two Handy Talkies for the fire commanders to use at fire scenes. Two new Stations were added. Chief Fraker retires and is replaced by Harlen Boehm. Chief Boehm was a 20 year veteran of the department. In 1968, Fire Station #4 was relocated farther Northeast from the original one bay station. Now located at 2423 North Delaware Avenue, Fire Station #4 is a two bay, 3,367 square foot station. In 1969, Fire Station #9 was opened. Located at 450 West Walnut Lawn, the station is a 2 bay station with 2,590 square feet of living space. The station was built to provide faster responses to the growing south-southwest corner of the City. On January 1, 1973, a fire broke out in an abondoned rock quarry located at the corner of National Avenue and Trafficway. The quarry was currently being used as a dump site. The attendant at the payment shack was overcome by toxic fumes and died. Engines pumped night and day blocking the roads. Due to the thick smoke, neighboring businesses were forced closed for several months. Eventually, a water main was laid up to the edge of the quarry. The water level rose until the fire was offically declared out in February 1976, ending the longest fire in Springfield history. In April of 1975, Charles Grant became the newest Fire Chief of the Department. Chief Grant was promoted from the inspection bureau of the department. On February 16, 1970, a fire was reported at the Associated Wholesale Grocery Warehouse at 3201 East Division Street. It would end as the costliest blaze to date for the department, exceeding $2.5 million. During the peak of the fire, several firefighters became trapped beneath a fallen roof. A valiant rescue was made and in the end, three firemen were injured; two critically and one was minor. Later in 1979, Fire Station #10 was opened. Located at 2245 E. Galloway Street, the station is a 3 bay station with 3,800 square feet of total living space. The station was designed to accommodate two fully manned companies. With the retirement of Chief Grant, William Penland was promoted to Fire Chief. Chief Penland entered the fire department in 1958. 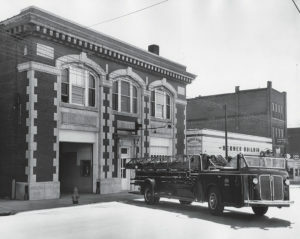 In 1986, Fire Station #2 was relocated to 608 West Commercial Street. The four bay, 4,439 square foot station was designed to house two fully manned companies and a Battalion Chief. The station was designed from the plans of Fire Station #10. Phillip Johnston was hired as the Fire Chief. Chief Johnston had formerly served as Fire Chief for the Chico, CA Fire Department before accepting the position in Springfield. Assistant Chief Jim Dancy was appointed to replace Chief Johnston. Chief Dancy was a 23 year veteran of the department. 1993 The Police/Fire pension system went from a 2% multiplier to a 2.5% multiplier, causing an increase in the number of retirements. The department hired many new employees this year, including its first two female firefighters. 1996 In May of 1996, Steve Strader was appointed to replace Chief Dancy after his retirement. At the time, Chief Strader had served 19 years on the department. 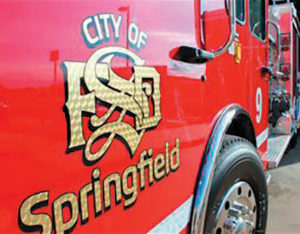 As we moved into a new millenium, the Springfield Fire Department continued to see notable changes. Mobile computer terminals were installed to improve the efficiency of dispatching units to emergencies. Stations #1, 6, and 8 were replaced and a new station – fire station #12 – was built on the City’s east side. The Department saw the loss of its dive team, but gained two technical rescue teams. 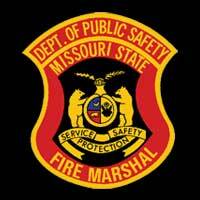 The Department switched from light blue uniform shirts, to the dark blue you now see today and fire Marshals switched from 24-hour shifts to a 40-hour work week. The Springfield Fire Department also made the change from first responders to EMT-B response to provide basic life support on medical calls. The Department established automatic aid agreements with several surrounding departments to improve response across the region. In 2006, Chief Dan Whisler retired and Barry Rowell was promoted to the top seat. Former Chief David Hall was then promoted in 2009, following the retirement of Barry Rowell. The Department reduced its ISO rating to become an ISO 2 department and in 2009 was Accredited by the Center for Public Safety Excellence. In 2012, the Department hired its first Fire and Life Safety Educator. Two of our most visible recent changes occurred in 2013. The Department adopted a new logo and began making the switch back to red fire engines, with the purchase of Engines 1, 2, 4 and 9. Along with those new engines came the use of Compressed Air Foam – a more efficient way to extinguish fires. Chief Hall retired in 2016, with Assistant David Pennington named Chief in May 2017.